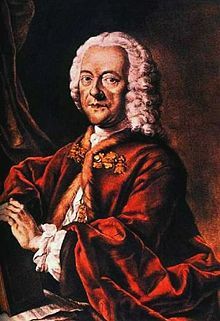 Telemann was a prolific composer and probably composed more music than any other – over three thousand works are known including 1043 cantatas. He was a contemporary of JS Bach and to Handel and was probably better known than either in his lifetime. 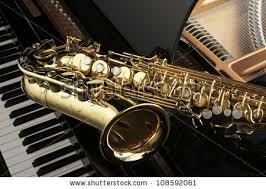 However, he is less well known now and the fame of his contemporaries has eclipsed him. There is much to admire and the Society’s presentation by Angus Menzies on 16 February introduced us to the range of his output. George Philipp Telemann was born in 1681 at Magdebourg in Germany and was clearly a child prodigy being able to play four instruments by the age of 10. His parents wanted him to go into the church and he did indeed start studies in this direction but gave them up after a year. He studied at Leipzig and at 21 became the musical director of the opera there. There were subsequent appointments in Zary, Frankfurt and finally in Hamburg. His first wife died young and his second left him for a Swedish nobleman. Angus played a range of music from some of his earliest compositions up until his death in Hamburg. Pieces included Concerto in G major for recorder; oboe and violin; Overture in D major from Jubeloratorium; a scene from Orpheus, and the curious Volker overture Turcs; Suisses and Muscovites. He wrote nine operas. He titled his talk: Geese, frogs and old pepper sacks. The frogs referred to sounds included in one of his early works – a violin concerto; the opera house was once in the goose market (much like Covent Garden used to be adjacent to the market) and pepper sacks was how prosperous members of the Academy were referred no doubt because of their girth. It was interesting hearing echoes of Handel in some of the pieces with whom he exchanged bulbs as they were both keen on this activity. Handel borrowed much from Telemann. 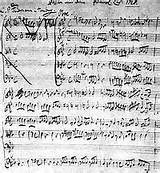 Telemann was godfather to CPE Bach. An enjoyable evening and we were pleased to welcome some more new members.